The multitalented Devin Star Tails popularly known as Dev is a singer, songwriter, rapper, model and a radio host. 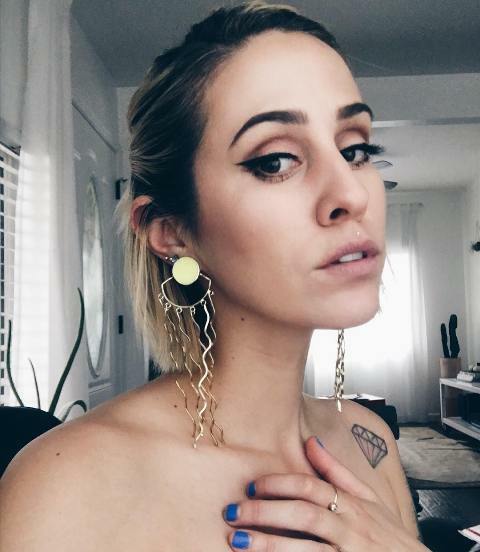 She has inked her body parts with many tattoos, and she feels tattoos are cool. She has mostly inscribed words on her body which means much more than their usual meaning to her. 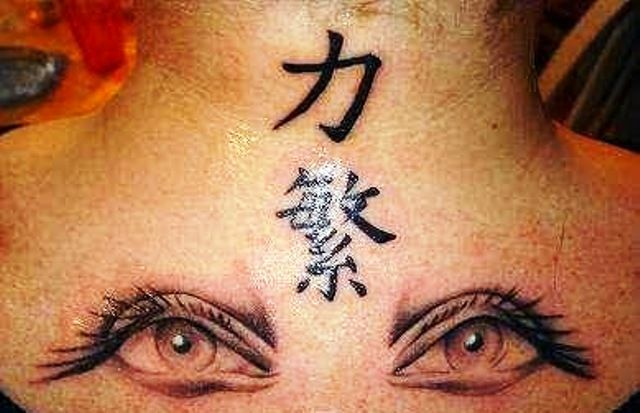 Check out her tattoos to know the logic and worthiness of these body inks. 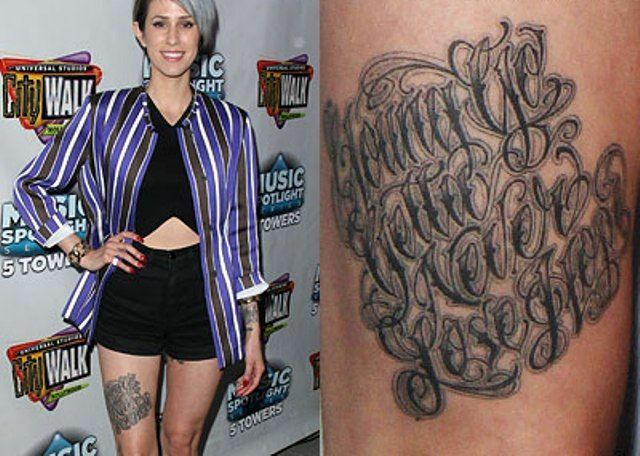 Dev has got her right thigh inked with a large tattoo which is a verse from the song “Honey Dip.” The tattoo says, “Young Go Getta Never Lose Hope” which means she is dynamic and adventurous. The songwriter has inked the unfilled lilies on the inner side of her elbows. Lilies represent purity and innocence, but since Dev has left them unfilled, so the meaning is also not defined. 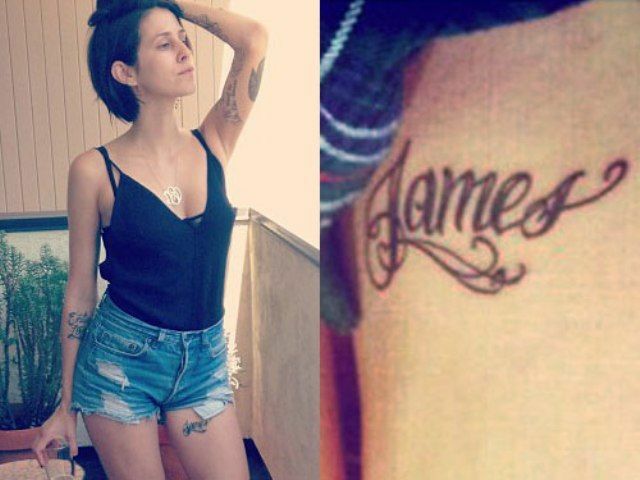 She has her left arm inked with 2 words in the Portuguese language stating “Menina Bonita” for her grandmother. It translates to a beautiful girl which her mother used to call her. 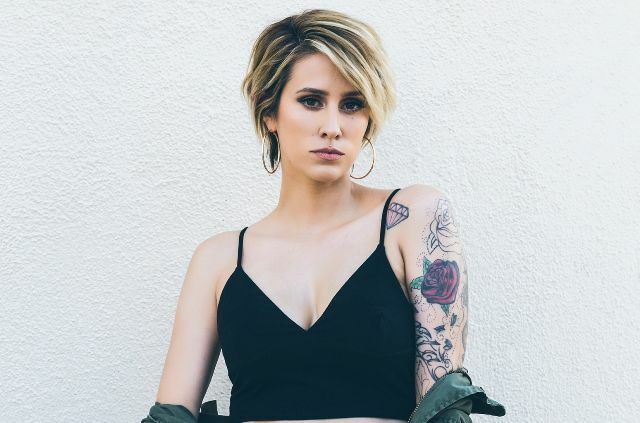 The singing star has inked the lyrics “We Used To Talk Like Lovers” from the song, “Undercover” by her close friend Cataracs. Now, that’s what friendship means to her! She got her left shoulder inked with a cute pink diamond. She got it tattooed at the time when she was quite young to get herself tattooed. 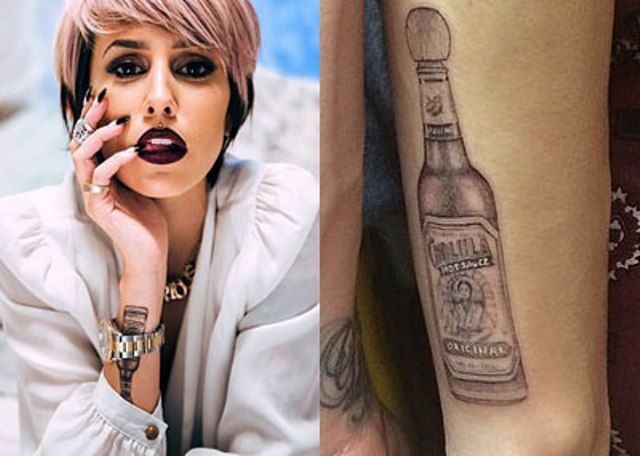 The American singer has her right forearm inked with a Cholula Hot Sauce bottle. 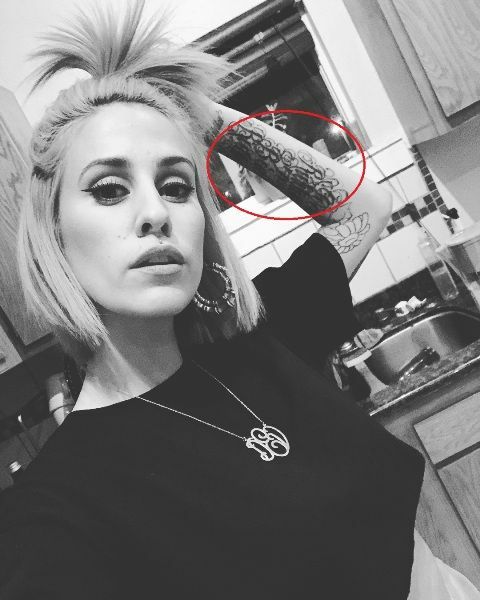 Her husband has a matching tattoo on his right forearm as well. Well, the duo must be fond of Cholula Hot Sauce! 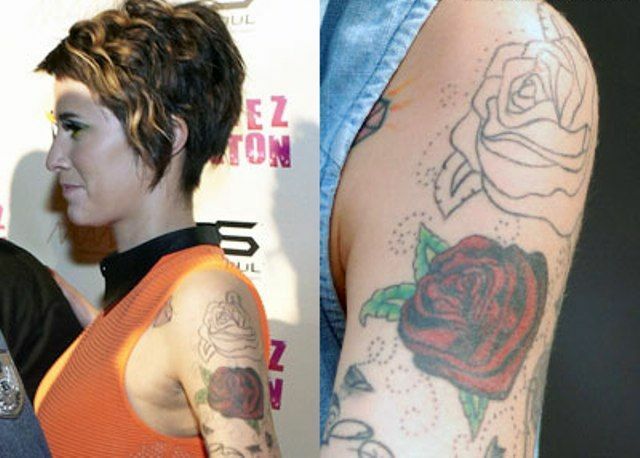 The multitalented Dev has inked her upper left arm with a pair of roses. One, colored with its petals inked in red and leaves in green ink while the other one outlined in black ink. 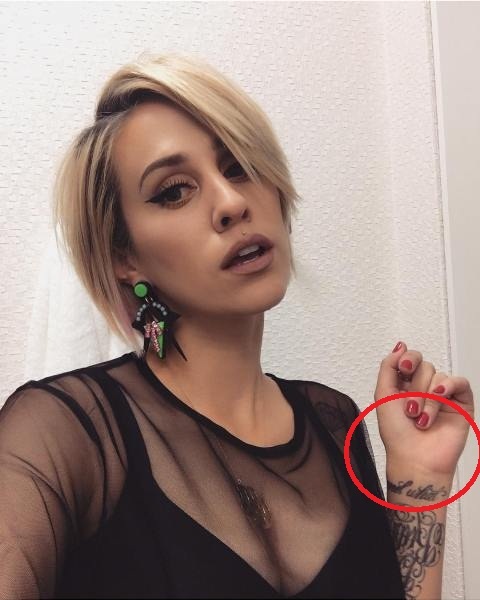 She has not disclosed the meaning of this tattoo. 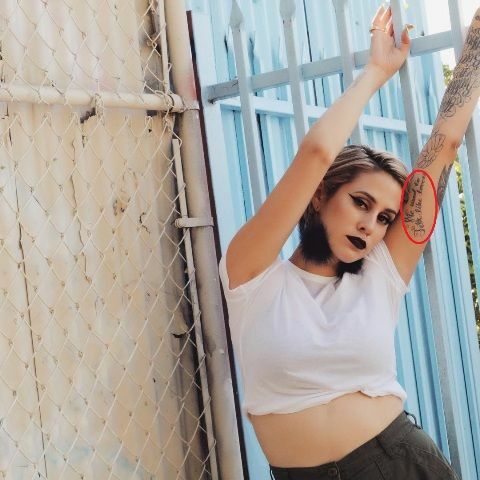 Dev has her inner side of left forearm inked with “Good Riddance To Bad Rubbish” whose literal meaning is to be glad to get rid of something or someone. 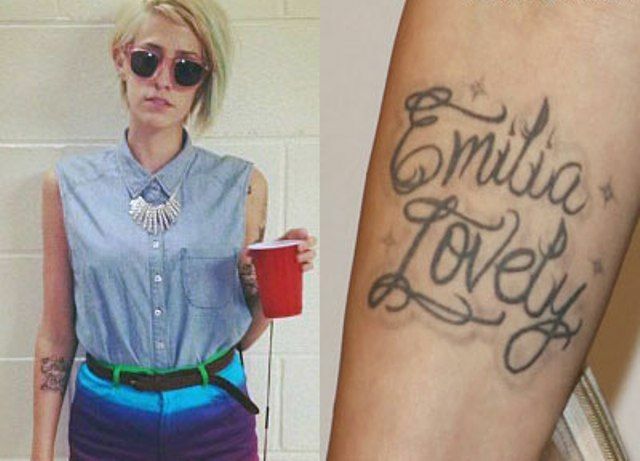 She has her right elbow inked with the name of her daughter, “Emilia Lovely.” Now it was an act of a doting mother! 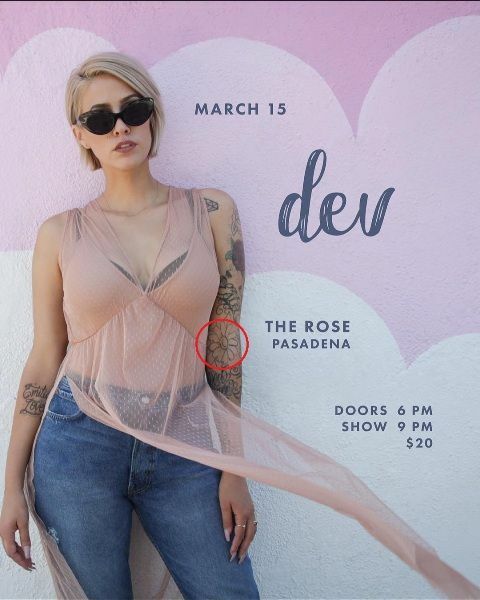 Dev has her left arm inked with an unfinished naked girl tattoo. The tattoo is featured with a feathery crown on the head of a bird, dwelling into a naked girl’s torso with the mermaid-like figure with feathers just like feet.